Olaplex has taken the world of haircare by storm and now is your opportunity to discover a little of the magic. The whole Olaplex journey starts in the salon but the No 3. Hair Perfector is your at home care for beautiful colour and healthy hair. 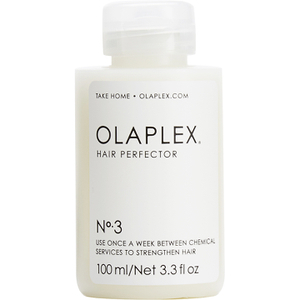 Whether you have dyed, coloured hair, or struggle with breakage from heat styling, the active Olaplex ingredients will help repair broken bonds for sleeker, healthier looking hair. With a cult following, you need to try it to believe it. Buy the No.3 Hair Perfector today from lookfantastic.